Since it is finally springtime, yesterday morning I decided to be traditional and listen to music with the windows rolled down on my way to work. Of course, the one day I don't listen to our local NPR station is the day that the House votes to cut off its funding. My last few posts have been related to some very simple things I love that are under threat of going away. They are ordinary loves-- books and cameras aren't exactly some secrets I've been keeping to myself-- and they certainly won't disappear during my lifetime. I'm not worried. What I am worried about is that thoughtful and beautiful things for the public will become the interests of the eccentric. It should never be weird to love NPR. NPR, particularly on the weekdays, has been for me-- and this is not hyperbole-- like being able to tune into a college course at any moment of the day. It is thoughtful, well-rounded, and challenging. It has high expectations of its listeners without being snobby. It reassures me that yes, it is good to be interested in a huge variety of things in this world-- politics and humor and narrative and sheer facts. When the rest of the world feels too compartmentalized, too stylized, NPR is there, giving us both breadth and depth. That is not an easy thing to do. Maybe I'm this passionate about NPR because, for the past five years, I've lived in listening range of two incredible affiliates. During my WNYC days I had an unsurmountable crush on both Brian Lehrer and Leonard Lopate (I will never apologize for either). These days I have a personal relationship with Hartford's WNPR, which broadcasts down the street from my office. 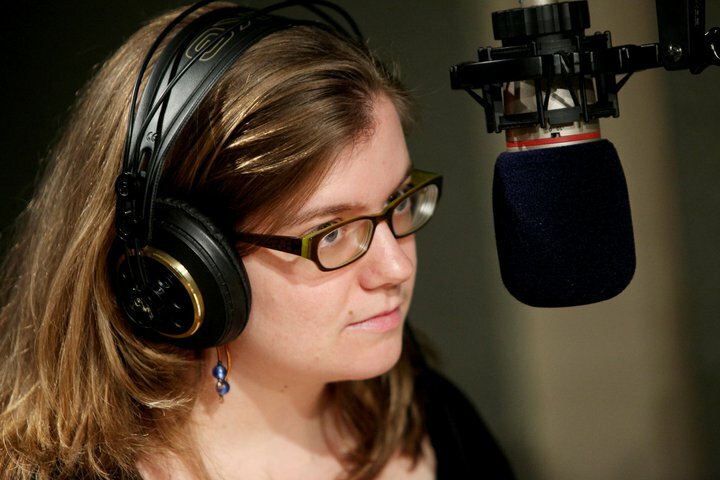 I just appeared on WNPR for the fifth time and, as they all know, I am madly in love with their programming and their staff. WNPR has given me-- again, not hyperbole-- a sense of community that nothing else in Connecticut has. This small group of people is dedicated to untangling the local, regional and national issues that Connecticut needs to address. I'm always on to talk about something relatively silly, like anagrams or comedy, but they select their shows thoughtfully, research them thoroughly, and treat their guests with respect. It all comes through in the programming. I have just as much fun listening as talking, and have been known to take a scenic route just to hear five more minutes of a show. Most of the news and stories I hear on NPR I never discuss with anyone-- it is enough to hear it, to think about it, and to let it become a part of my knowledge and understanding of the world. WNPR's strength is bringing together voices from our community and giving them the opportunity to interact with the larger national and global network. I am honored to be one of those voices, but I am more honored to listen in on the conversation.